What makes this list of 240 resume action words so useful? Now spend the next 3 hours reading the instructions. Did you get tired of, Lather, rinse, repeat? That’s exactly how employers feel when they read resumes. The right resume power words can make you stand out from the crowd like Wonder Woman in a neon A-Line skirt. Most lists of resume words are kind of like a junk drawer. It’s hard to find the one you want. 240 resume action words grouped by keyword synonym. Easy-to-use lists of resume power words, organized to save you time. Separate lists of resume buzzwords and resume adjectives to make your work stand out. Expert tips to use the best resume verbs and other good resume words like a pro. What’s better than a resume built with great resume words? A builder that makes your application shine out like a road flare. Need to make a resume quick, with bonus tips from experts? Use our examples and build your resume here. 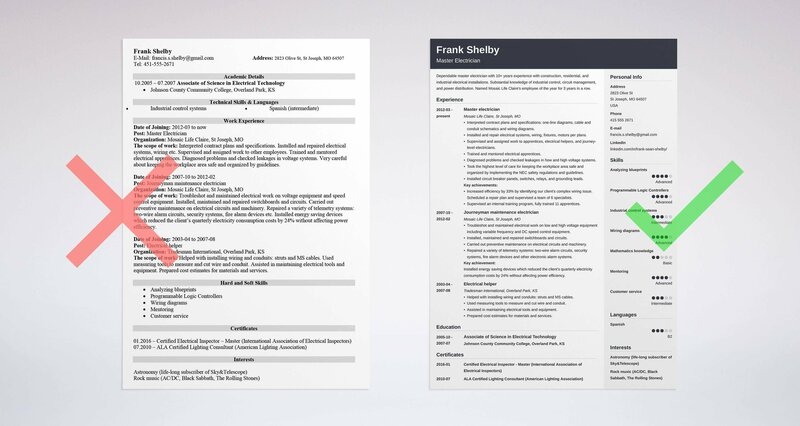 Sample Resume Made with Our Builder - See more templates and create your resume here. 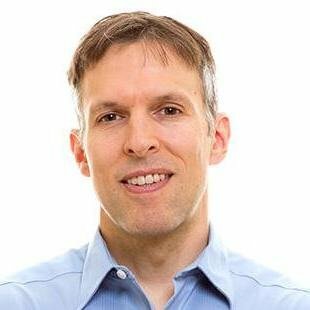 Why use powerful resume words? In front of you are 300 American cheese sandwiches on white bread. But then you see a turkey-bacon panini with thin-sliced avocado and a side of homemade curly fries. Beside it sits a frosty mug of ice cold beer. Resume power words make your resume stand out like that. Bear in mind this isn’t a “how to fluff a resume” piece. It’s not a checklist of magic NLP phrases that will hypnotize the recruiter. Use it to improve your writing, and to help the employer understand why you should be the chosen one. But you don’t want a phone-book-style list of 240 resume verbs, buzzwords, and adjectives. So—here are 10 individual lists. After that are lists of resume buzzwords, resume adjectives, and how to find the best keywords for your resume. Click to see each action verb lists below (shown later in this article). Want buzzwords, adjectives, or resume keywords to give your job search a fighting chance? Click any of the resume words lists below, or just scroll down. Pro Tip: Picking power verbs for resume writing? Change it up. Use each one only once if you can help it. Everybody knows how to use resume action words. Right? The best resume words don’t describe you. They describe the things you’ve done. What are Resume Action Words? Resume action words are words you should use in your resume to describe your professional skills, tasks, and achievements at work in a short and powerful way. Typically, they are action verbs but adjectives and some buzzwords are also considered good words for resumes. Resume action words are also called resume power words. Rather than describe your job, resume action verbs paint a vivid picture of your expertise and professional wins. Why Do Good Resume Verbs Make Writing Stronger? Resume action verbs make writing stronger for two reasons. First, they zap the boring phrases hiring managers see hundreds of times daily. Second, they guide you toward job-winning specifics. With action words, you didn’t just handle a responsibility. You slashed costs X% or drove time savings of X hours/week. Those are “toot your own horn” words. The 240 resume words in this article do just that. With any of the resume words below, add numbers. Calculate the dollars saved, the revenue increased, the time reduced. Then use good resume action verbs to introduce those numbers. Implemented a new inventory system and slashed costs 20%. Pro Tip: What’s even more powerful than great action words for a resume? Great referrals. Reach out to employees at the company and listen to them talk about their job. Employers hate seeing “team player” on a resume. Yet, they want to hire team players. You’ve got to show you’re a team player without saying it. So, in your resume bullet points, display achievements. Show times you worked with others and got great results. You cut costs, raised revenue, or found efficiencies. Give specific dollar amounts, hours per week, and percentages. Lead off with the resume action verbs for collaborate below. Pro Tip: Use great action verbs for resume writing, but use them sparingly. One active power verb per bullet point sentence is plenty. They can’t stand candidates who merely say they’re leaders. How many team members were you in charge of? How many hours of training did you give? What projects did you spearhead? There’s your proof. Showcase it in style with the resume power words for leadership below. Pro Tip: Action verbs for resume use can backfire if you use them wrong. Make sure you fully understand the power words you use. Trying to stand out with power words for your resume? Make sure they’re the right ones. A CareerBuilder study of 2200 hiring managers found the common resume buzzwords hiring managers hate most. What do they have in common? Most say you’re great, but don’t convey any actual information. Use resume words you can hook achievements to instead. Pro Tip: What if you land the interview, then they ask you to describe yourself in three words? Use resume action words to show how well you’ll fit the job. “Responsible for” is the sneakers-in-a-dryer of resume words. Instead, say how you improved what you were responsible for. Pro Tip: It’s okay to use more common resume action verbs once in a while. Just avoid the most common power words whenever possible. What hiring manager doesn’t love a good communicator? So—tout achievements your communication caused. Did you negotiate deals 10% more effectively than others? Author the company newsletter? Show it with the powerful resume words below. Pro Tip: Can’t find the right action verbs for resumes to describe your great achievement? Sometimes it’s best to let the accomplishment speak for itself. Just put “Achiever” on your resume. Want to look like Tony Stark with MS Office skills? Use the strong resume words below to show exactly what you have achieved. Pro Tip: Avoid over-flashy resume action verbs like “destroyed,” “smashed,” or “annihilated.” Use them only if you’re applying to the WWE. Most people think the right adjectives for resume will impress the employer. Have you ever seen It’s a Wonderful Life? That’s exactly how “powerful” resume adjectives make you look. They’re a bluff. A strutting rooster. A little guy beating his chest. Your big stick is achievements. Ditch the flowery resume adjectives and cite jaw-dropping accomplishments. Use the resume words below. Pro Tip: We’re not saying to use zero resume power words as adjectives. One or two in a resume can help paint your picture. But stick to a couple. They’re the wave crest, not the ocean. It’s not enough to tell employers what you worked on. Thomas Andrews worked on designing the Titanic. What exactly did you accomplish? Don’t just say you worked on something. Say how many, how much, how often. Find the success. Give numbers. Show value. To share those numbers, include these powerful resume words for “worked on” below. Pro Tip: Avoid passive verbs for resumes like “is,” “were,” and “was” when possible. Use active verbs instead. Should you send a PDF or MS Word Doc resume? See our guide: Resume in PDF or Word: What is the Best Resume File Type? Did you make something skyrocket? Showing it on a resume can get you hired. But you can’t keep saying “I improved” over and over. Mix it up with the resume words below. Pro Tip: Using action verbs for resumes to describe accomplishments? Try to match them to what the hiring manager needs. That’s easy to find—it’s in the job ad. Does the job description call for research skills? Focus instead on the effect your research had. Did your analytical skills save money? Time? Earn commendations from management? Use the resume verbs below to say that. Lots of jobs need creativity skills. Saying, “I’m creative” on a resume proves you aren’t. Use resume power words to show what you created. Exactly what did you design? Did your creations win awards and commendations? Did you go faster than your coworkers? Do it cheaper? Get higher customer reviews? Use the resume words below to show that with a little zest. Pro Tip: “Why should we hire you?” Have the right resume verbs ready. Back them up with numbers, and you’ll ace that common interview question with flying colors. You could just say your last job was in management. That alone will show you’ve got experience. But hiring managers love metrics. So, think about what you achieved through managing employees. The good resume words below will help. Resume keywords aren’t the same as action words. Action words begin your bullet points. They introduce achievements that convince the hiring manager to hire you. You saved, slashed, raised, or developed something. Resume keywords showcase your specific skills. Need a list of good skills to put on a resume? The best ones are in the job offer. Use the ones the employer is hungry for, and the Applicant Tracking Software will reward you. Read the job offer carefully. Highlight any skills keywords the job requires. Don’t just use those keywords in your bullet points. Add resume action verbs to show how those skills helped the company. Resume action verbs are words that introduce accomplishments. They describe job duties, but leave room for all-important metrics. Don’t ever simply say you’re skilled, a go-getter, or hardworking. Back it up with resume power words and concrete figures. Avoid resume buzzwords like “outside the box” or “innovative.” They’re the worst resume words because they come off like empty bragging. Use the 240 resume action verbs in this guide to make your resume more readable. They’ll also help you prove your worth and get a lot more interviews. Do you have questions resume action words? Not sure how to use resume power words to get the best effect? Give us a shout in the comments! Let's talk about phrases you love to hate and hate to love! How to write a resume summary. Examples and tips to write a resume summary statement that glues employers to your resume. Make your professional summary now.